A tour-de-force satire that contains a cast of thousands in this modern day portrail of a world gone slightly mad as the physics of time and space come apart. The Plot to End All Plots has not been tagged yet. 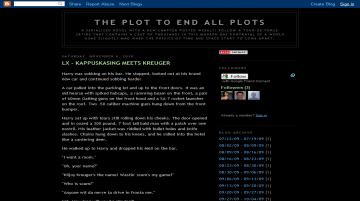 Help others find The Plot to End All Plots by tagging it! The Plot to End All Plots has not been reviewed yet. The Plot to End All Plots has not been recommended yet.